Would you listen to Vanguard again? Why? The story line and performance were captivating and entertaining. The action scenes were well described. There were nuances which I am sure to pick up on the second listening. 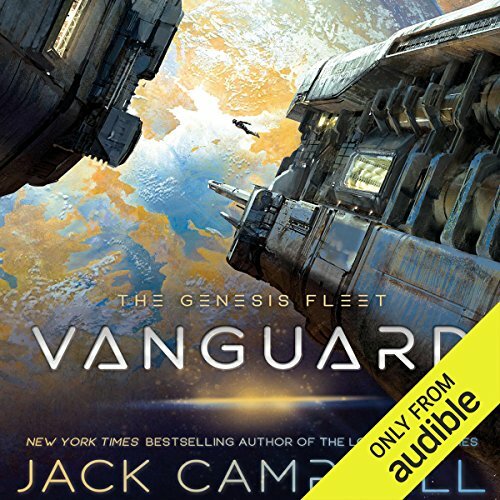 What other book might you compare Vanguard to and why? The first incursion into the Scatha base camp. No, but could not put it down, especially in the last three chapters. Highly recommend this book. 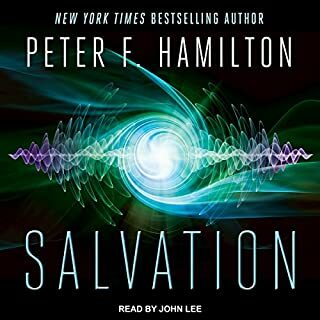 Christian Rummel does an outstanding performance in the narration of this book. 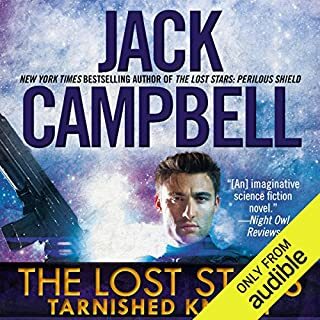 Jack Campbell is one of my favorite military Sci-fi authors. I am a big fan of his “Lost Fleet Series” and its various spine-off series. This new series, “Genesis Fleet” is set in the time before the “Lost Fleet”. in other words, it is a prequel to the “Lost Fleet Series”. The book is well written. Campbell’s trademark is he creates men and women doing what is right even if it is difficult or unpopular. Campbell also attempts to use actual physics in his space battles. The book is full of action, strong characters and complex politics on multiple worlds. I cannot wait for the next book in the saga. The book is nine and a half hours long. Christian Rummel does an excellent job narrating the book. Rummel is an author, actor and award-winning audiobook narrator. I am so glad they kept Rummel as he was the narrator of the Lost Fleet and all of its spine-offs. Quit after 4 hours. This should be for male teens. The characters are cookie cutter. The adventure did not grab me. It felt like the first episode of a slow tv show. This is the third and final series I've tried of Campbell. He gets great reviews, so I tried. I'm sorry, but for me - They are weak on sci-fi. Thin on characters. Narrator annoyed me. Anyone with a foreign name is immediately given that accent. Cookie cutter. I have been missing Black Jack so I was very happy to read about his ancestor... This was a great book with a good premise, I look forward to references in the Lost Fleet series! These books by Jack Campbell are well written and well read. Engaging, believable, and satisfying, his books prove that an author doesn't have to use lewd conversation or inappropriate scenes to write a best seller! Thanks for another family friendly book! The two named author has done it.....AGAIN! I glanced at the length of Vanguard and figured it for a two dayer working around the chores, commitments, and meal times. That went to tophet in a hand basket! I bought the book around 4:00 am, strapped on my miracle head phones, and tackled the day. I don't really remember anything except waiting for the next chapter to start in this wonderful book. Protagonists and characters were created and executed a plot that from the summary sounded a little fanciful but as the golden tones of Christian rolled out the book, it was real, enthralling, and covered all points in the emotional compass. Okay, okay, the action might have been a little stretched but while I was so caught up in the book, I would have physically harmed anyone who tried to say so, it was so well done! The only clear advice I can give a new listener of Jack Campbell: plan on total absorption in this book! If the Presidents coming by, reschedule. This book will demand all your attention and its worth it! Uninteresting Cory Geary must have done something right to have a descendant like Rob Geary in this series. While never mentioning Black Jack, Rob Geary channels his intrepid spirit perfectly. It's a bit confusing trying to keep the three groups of people separate, but they all end up working to keep the young planet free from invasion, conquest, or destruction by other humans or aliens, they're not always sure. There's also a long lost ship that just might make an appearance sometime. There are several fine characters to follow into the next volumes: Rob Geary of course, but also Mele, or perhaps "Melee" would suit her better. Lachlan may prove interesting, and the government lady, but two of my choice died, so no more there. This is about politics and government and freedom without any of Nuttal's leanings and lecturing. There is satisfying action on the ground and in space, a sudden jump of several years, and the promise of more great Campbell saga to come. Worth spending time on. 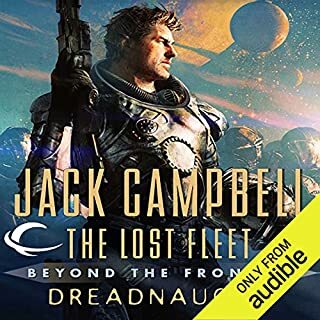 Jack Campbell goes back into starfaring exploration history with a new series set hundreds of years before the events in his &quot;Lost Fleet&quot; series. For me, this seemed kind of like a way for him to reboot the series, stepping away from the massive scale battles that the series ended with, and returning to a much smaller theater which allowed him to focus on developing new characters. Just one strange issue with this, however. It seems that some of the characters are direct ancestors of the protagonists in the later series. The main character is yet another Geary, and his personality and speech traits are virtually identical to the &quot;Black Jack&quot; that we all know so well. It's like they're the same exact character. I don't know this was even deliberate on the author's part, or if he can only write a few certain types of characters. At any rate, this was a missed opportunity to introduce very different characters in a different setting, and stretch his creativity and give us something that feels new. Instead, this is simply &quot;Lost Fleet&quot; scaled way back. What made the experience of listening to Vanguard the most enjoyable? Rummel is good, and it feels as though the story was written to be spoken. It's a prequel in a universe that was already well hashed out and they old Earth is old but still fresh in the memories of some. Not some far off relic like when they visited in BTF. He didn't speak as deeply when doing the voice of a Geary, but why should they all sound the same? I'd say it was on par. I find it insane that he does so many variations of voices. The end made me think back to the time Captain Duellos had a shuttle ready for Geary in TLF which made me shed a tear but in this case I'm just curious if it's over. I gave it 4 instead of 5 starts because it irked me a little that our protagonist was a Geary. It was cute that they another major name drop on a planet that was mentioned in the other books. I'll be back for more. This was a great novel. The characters all felt great, the story did seem kinda forced in places. But this was a very enjoyable read from start to finish. I will say, that having the one romance that happened, play hard to get, felt very forced. Like she was only tangentially interested, instead of trying to help one of the main characters, find a way to express themselves. Or actually have the two characters gradually fall for one another. That, and the hacker character feels way op. Like there isn't a computer system she can't break into, at all. that kind of genius is what governments hire to secure their data and transmissions. not someone they treat as an independent contractor. those are my only two complaints, and they feel like nitpicks, instead of big flaws. if you enjoyed the lost fleet, and the lost stars, you will enjoy this novel. Campbell has still got the gift.Interesting characters. Well written story. Cant wait for next book in the series. As a long time Lost Fleet Fan. I was hoping for the best and dreading what the new Fleet might bring. I'm happy to say that I sat listened to it in almost one sitting and loved it. I'm not going to ruin the story by saying anything about what is in it. Just go and get the book. Campbell has rebuilt the lost fleet into Genesis with barely a foot out of place. Well done and I look forward to the rest of the books. I would also note that Christian Rummel did a great job again helping to make a good story into a great one with his reading. Look forward to hearing more from you too. 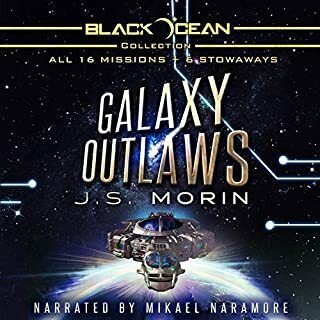 Listened to all of the Lost Fleet novels and that became a bit of a slog through the last 4 books but this is spritely and crisp storytelling. It feels like someone been studying the 'Expanse' novels as there are similar characters and situations but that's no bad thing. Looking forward to the next story. A great start to an AMAZING universe. For anyone who has read the Lost Fleet and Lost Stars series, please read this. I have ready every Geary book and for some reason, the fewer ships and the more desperate the situation the better I enjoy them. The Lost Stars took this to the next level, dropping the fleet size drastically and upping the tension. Vanguard and the Genesis Fleet takes this to a new extreme. Faster than light travel is less than 10 years old and frontier colonies are lucky to have even a single ship (let alone a Warship) to there name. Such a simple story of pioneer peril is fantastic. Well worth the credit! Already eagerly waiting for the next in the Genesis Fleet series. I like the idea of going back to basics in space. nothing fancy just raw space travel. loved the narrator he is brilliant every time. I only have one complaint; the book was not long enough. That aside, Its another first, I think, for Jack Campbell. It has all the ingredients, as with previous books, and draws you into the storyline almost straightaway. Can’t wait for the next in the series. A really good, enjoyable listen. 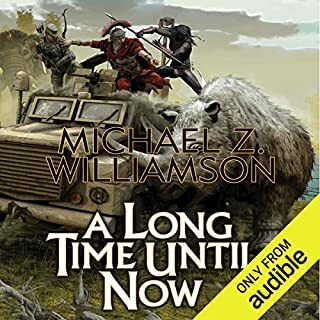 Greatly enjoy this book, sets the scene for a new series very well. Very excited to see where the story goes. 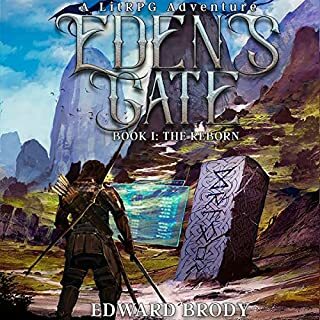 Both fans of the lost fleet series and people who haven't read them will enjoy this book as explains the setting well without requiring knowledge from other books. Narrator did a great job with providing unique accent/voice to many characters throughout the story. Overall I enjoyed this book, however the accents in the performance were all over the place, and at times completely indeterminable as to where there were meant to be from. The non accented narration was good, but overall it would be better if the accents were not attempted. I tried something different but it wasn't for me. The narration is a bit OTT. The story is linear and although set far in the future it's still quite similar in too many ways.